(Entry was posted by Saurabh Bhardwaj on this post in the Dumb SEO Questions community on Facebook, Wednesday, December 17, 2014). 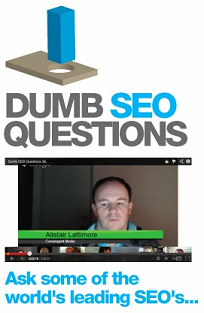 View original question in the Dumb SEO Questions community on G+, Wednesday, December 17, 2014). How many H1`s per page? Tags and categories with only one or two posts in each? Adwords link to organic search? What are the factors or steps in getting a video from You Tube ranked high in Google? Am I over optimizing my img alt text? Google search tips & tricks. I have a bilingual site (english + greek ) geo-targeted only for Greece. We manage a multilingual site. Are there any resources that explain the sort of URL normalisation Googlebot does? How to become a SEO , what I will have to learn? Why does my header image appear blurry on Mobile. I have no idea how to stop these useless clickers. Is Alexa Ranking worth being interested in? Pages can be optimized better then categories? Nothing I enter into search will find my business. Can you incorporate phone call tracking with a CRM service like Salesforce? This is a Facebook advertising question.